It all starts with the continental drift, which separated the supercontinent into the smaller continents. But what happens over a period of millions of years happens in a few seconds here in Blue Sky world. Manny (Ray Romano), Sid and Diego (Denis Leary) are separated form Ellie (Queen Latifah), Peaches (Keke Palmer) and the rest of the bunch. 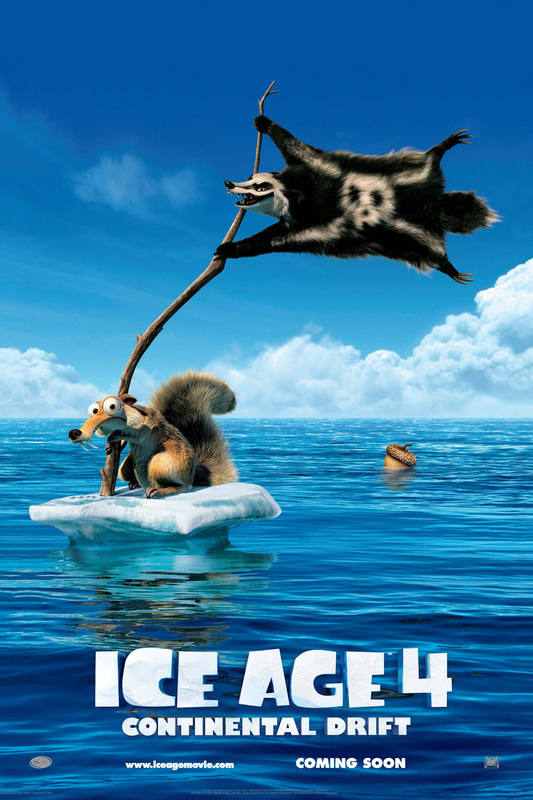 Now, the Ice Age trio tries to get back to the others on a floating piece of ice, where they encounter some pirates and bla, bla, bla! Story isn’t the strong suit of this movie, if the story is the reason you’re going for this movie, bad idea. As usual Sid is always a treat see on screen. 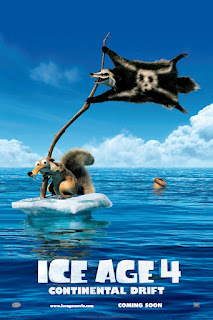 And last but not least Scrat (Chris Wedge) the root cause of everything that goes wrong in Ice Age world is fun to see as well. Overall a nice movie which you can sit through and have some fun in the process. "Two sloths, a mammoth and a sabertooth? You sound like the start of a bad joke."